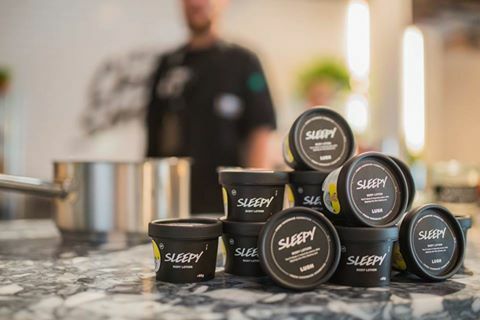 Lush new limited edition ‘Sleepy’ body lotion was made with the popular Lush “Twilight” scent. Having tonka bean and lavender, it’s a creamy, slightly sweet, herbal scent. Posted on October 1, 2016 by Lushalot	• This entry was posted in Christmas 2015, limited edition, Liquid, Lotions, Lush Kitchen menus and product demos and tagged lush christmas sleepy lotion, lush twilight lotion, sleepy, sleepy body lotion, twilight scent family member. Bookmark the permalink.